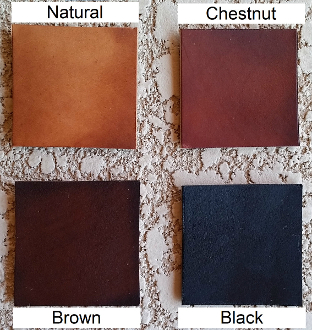 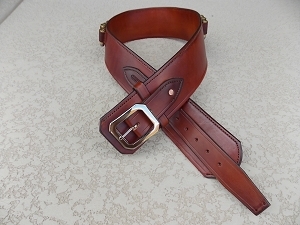 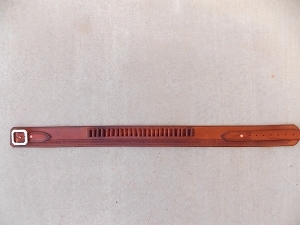 This Marshall ranger style cartridge belt is 3" wide and is fully lined. 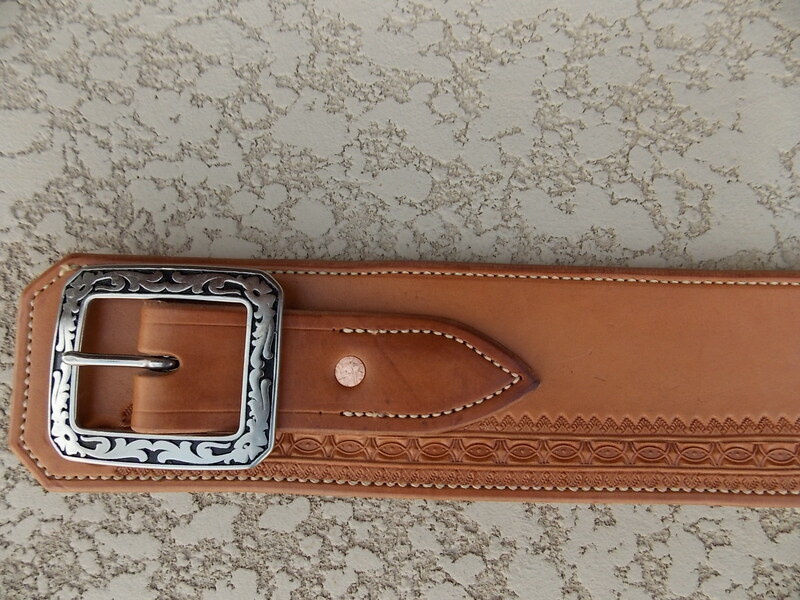 This cartridge belt has one of our new border stamp patterns #56 and comes with 24 loops. 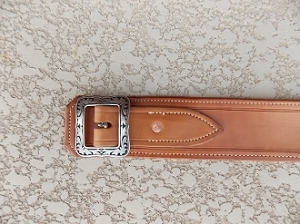 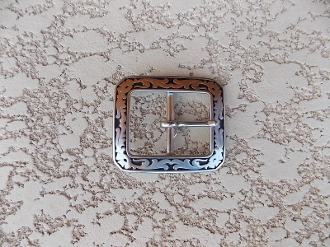 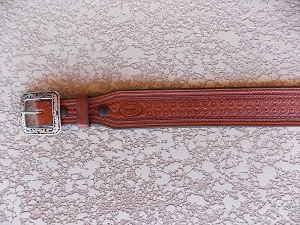 You can get this belt in all our colors and with our optional floral clip corner buckle as we show it here.